Reports suggest that HMD Global might be working on a new Nokia flagship device, codenamed A1 Plus. Nokia has reinforced its portfolio a great deal in the budget and mid-range segments over the course of the first half of this year. Now the company might be planning to launch a new flagship device in coming months. Reports suggest that HMD Global might be working on a new Nokia flagship device, codenamed A1 Plus. This device could very well be the Nokia 9, which was spotted online a while back and shares a lot of features with the Nokia A1 Plus, but we don't know for sure. The upcoming Nokia A1 Plus is tipped to be better armed to take on the competition - a Snapdragon 845, a "high-risk camera", and an under-screen fingerprint scanner. According to a report by WinFuture, HMD Global and its manufacturing partner Foxconn are working together on a new Nokia flagship smartphone. This device is internally referred to as A1 Plus, or A1P, or AOP, the report added. 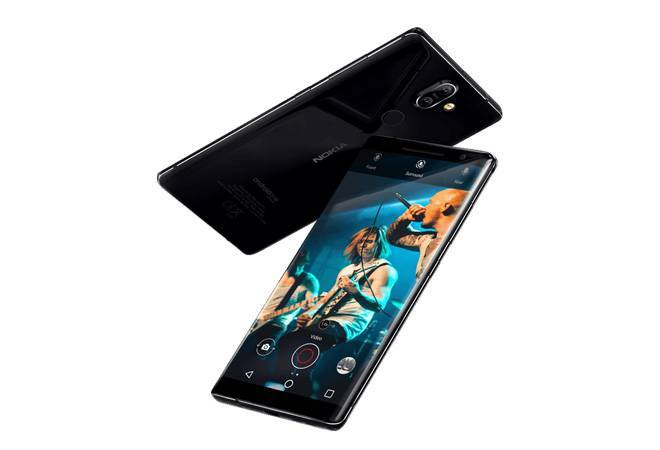 Going by the codenames, the Nokia A1 Plus could be closely related to the Nokia 8 Sirocco, which is internally referred to as A1N and is the present flagship device by the company. If the reports are true, then HMD Global would have beaten other industry leaders in implementing an under-screen fingerprint reader. Only recently, we saw Chinese smartphone manufacturers Vivo, Oppo and Xiaomi successfully opting for an in-display fingerprint sensor with some of their recent offerings. Nokia could be the first European company to adopt the technology. Reports suggest that Nokia's in-display fingerprint sensor was initially bogged down with latencies, but these were solved by implementing a thinner glass cover over the display. The display is an OLED panel supplied by LG Display. Another major update is in the performance front, with the Nokia A1 Plus rumoured to sport the latest Qualcomm Snapdragon 845 SoC. This chipset has been seen before with flagships from several companies. It is an octa-core processor that is clocked at a maximum of 2.8GHz. HMD Global is also planning an improved camera unit for the Nokia A1 Plus, something they are calling a "high-risk camera", as per the report. There are no details about the photography capabilities of the device yet, but we might get ZEISS Optics lens over the camera sensors, considering Nokia and the lens manufacturer have rekindled their partnership for mobile phone cameras. While we are not sure whether the Nokia A1 Plus is the same as the Nokia 9, leaks about the latter do indicate towards a triple camera setup with 41MP, 20MP and 9.7MP sensor at the back. After Huawei P20 Pro brought the triple camera setup to the flagship smartphone circle and considering how the smartphone industry works, it is only a matter of time before other manufacturers adopted the unusual idea. Nokia might very well be the first to jump on the bandwagon. Reports suggest that we could see Nokia launching its next flagship device at IFA 2018 scheduled to take place from August 31 to September 5. Reports indicate that the Nokia A1 Plus will come with Android P out of the box, no surprise considering the estimated time frame for its launch, and will be part of the Android One programme, like other Nokia devices.